According to the 2016-2017 rankings of the Global Competitiveness Index (GCI), Sri Lanka is placed at 68 out of 138 countries on the higher education and training pillar. Sri Lanka’s performance is mainly constrained by the sub-index on gross tertiary education enrollment. In this sub-index, Sri Lanka does poorly at 98th place. Poor children, in particular, have limited access to skills development programmes. Figure 1 shows the variations in tertiary enrollments among 15-29 year olds, by income groups. Most school-dropouts, especially children from poor households, usually engage in casual jobs or low-skilled employment. In fact, these inequities are not only limited to tertiary education; these disparities are evident even at higher grades of school education. As Sri Lanka enters an increasingly competitive international environment, with a renewed enthusiasm to transform itself into a modern economy, the importance of promoting technological innovations and generating an educated workforce, possessing market-oriented skills, cannot be over emphasised. High quality human resources and a skilled labour force are vital to improve the country’s global competitiveness. As of 2014, only around 10 per cent of age 20 and above population has had formal professional or technical training relevant to their occupation. [i] In this back drop, this blog explores Sri Lanka’s existing inequities in accessing education and skills development gaps that hinder the country from attaining a dynamic and skilled labour force. 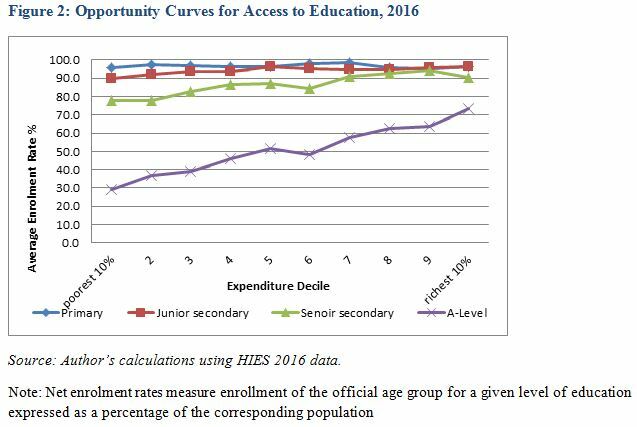 Access decreases for higher levels of school education. Sri Lanka’s basic education is almost universalised, but education participation levels fall at higher levels of education. With an island-wide network of state funded schools and other welfare measures, Sri Lanka has made remarkable progress in terms of access to education. Net enrollment rates at primary (grade 1-5) and junior secondary levels (grade 6-9) are 97 per cent and 94 per cent, respectively. 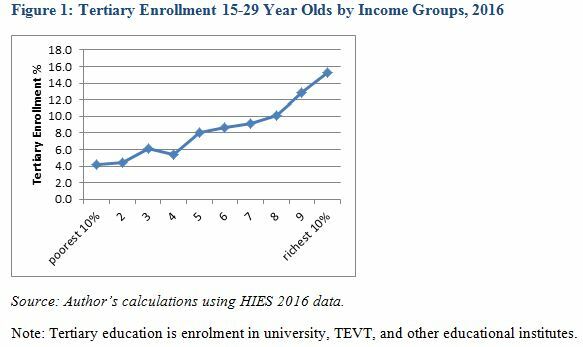 However, net enrollment rates have been falling at higher levels. Only 87 per cent of the students in the appropriate ages are enrolled at the upper secondary level (grade 10-11), while net enrolment rates were only 51 per cent at the Advanced Level (A-Level)(grade 12-13). Further, equitable access to education decreases in higher grades.Children from lower incomegroups have even less access to education at higher grades. This makes access to education at higher levels more inequitable. Particularly, children from lower income groups have less access to education at the A-Levels, where enrollment rates vary from 29 per cent in the poorest decile to 73 per cent in the richest decile (Figure 2). This is partly due to disparities in Ordinary Level (O-Level) success rates by income groups. There are also disparities in education completion rates by income groups.These are most prominent in the O-Level and A-Level success rates (Figure 3). 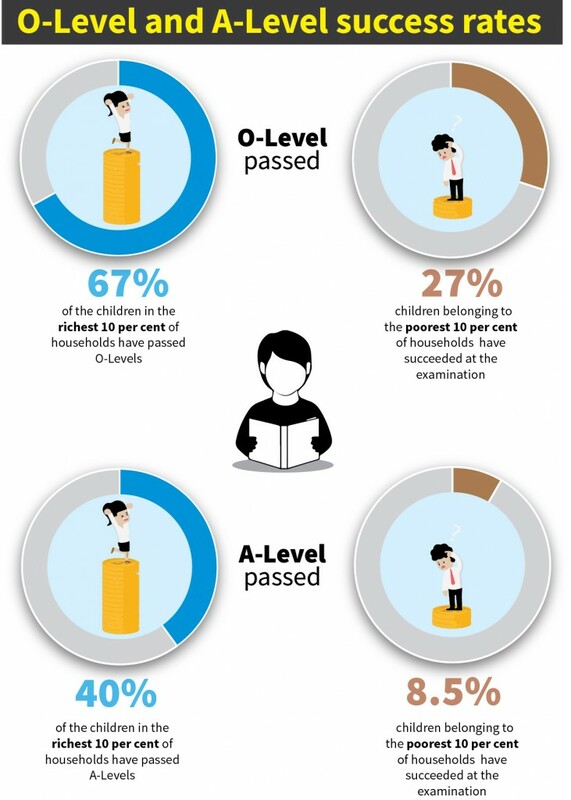 Around 67 per cent of children in the richest 10 per cent of households have passed O-Levels, while only 27 per cent children belonging to the poorest 10 per cent of households have succeeded at the O-Level examination. Similar disparities are seen in A-Level success rates as well. Also, completion rates at all levels of education has room for improvement. One of the reasons for such variations is the affordability of Out-of-Pocket (OOP) expenditure for education. 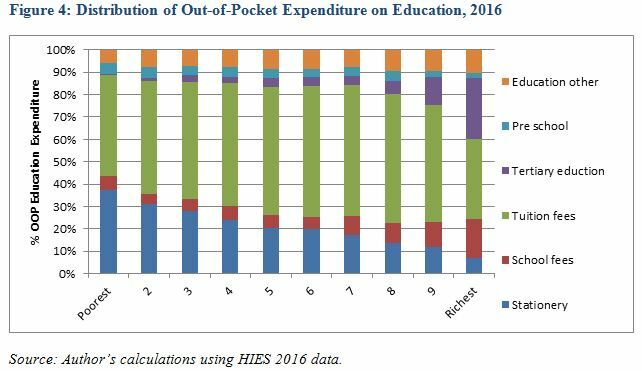 Although state education services are provided free of charge, households which reported education expenditure, had to spend, on average, around Rs. 3,870 per month for educational expenses. As such, many students discontinue their school education due to poor performance at the national level examinations coupled with financial difficulties. What are the Driving Costs of Education OOP? Private tuition fees and stationery costs are the main education-related costs for lower income groups (Figure 4). Around 45 per cent of education OOP expenses incurred by the lowest decile of households are spent on private tuition fees, followed by 37 per cent of OOP education expenses spent on stationaries. 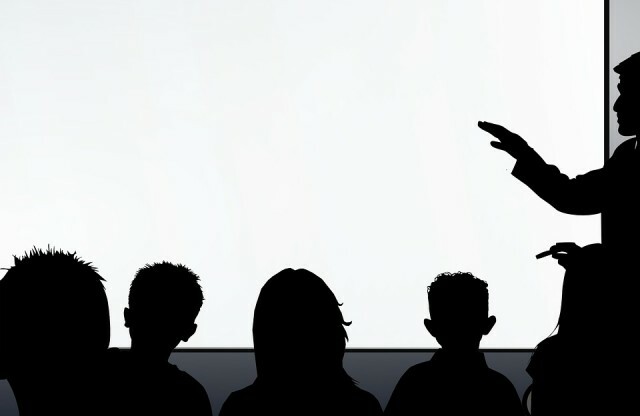 Tuition has become a crucial ingredient for succeeding at the national examinations. Even the poorest 10 per cent of households that reported spending on private tuition fees, spent around Rs.1,000 per month for private tuition, while the poorest households which reported spending on stationaries, spent around Rs. 470 per month for stationaries. Given that average total monthly expenditure of the poorest 10 per cent of households was around Rs. 19,720, affordability of these costs is questionable. More importantly, these costs may negatively affect school attendance of poor children. Further, the households that spend on tertiary education, spent on average, Rs. 12,930 per month for tertiary education. Figure 4, highlights that only the richest 20 per cent of households bear tertiary education related costs. Many students leave the school system at the O-Levels and A-Levels and do not enroll for skill development programmes. Inequities in access to school education at higher grades and skill development programmes are clearly evident. As Sri Lanka aims to accelerate growth, it is vital to develop human capital needed to compete globally. Hence, it is essential for the government to carefully plan and critically examine the present needs of the education sector, and find effective means of catering to these needs, by improving resource mobilisation of education services. Thus, it is important to identify the reasons for gaps in access to education and improve access to students coming from low income backgrounds. 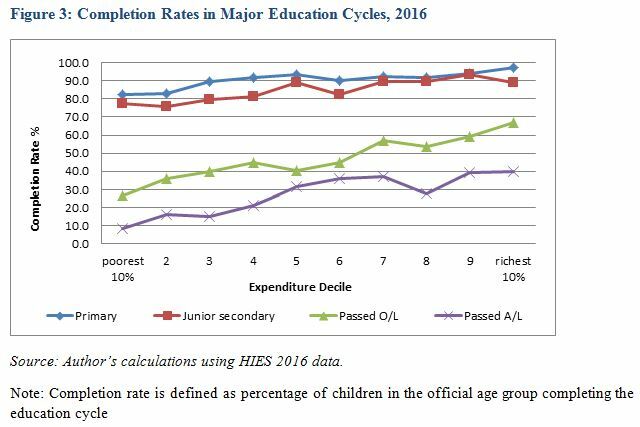 Also, it is worth to note that, with the current systems of free education for all, richer people benefit more at the higher grades of school education, as many children from lower income groups abandon school life after O-Levels. Thus, policies should look at ways to improve access to higher grades of education, as well as provide tertiary education to poorer students. With existing public finance constraints, aligning these education sector needs with dynamic labour market needs is a major challenge. As such, the government should consider introducing more targeted financial assistance programmes for needy students,to follow A-Levels or technical training programmes. What Really is a ‘Better Job’ in the Sri Lankan Context?